New York, NY — A new report jointly released by Foundation Center and the Campaign for Black Male Achievement shows a distinct trend toward increased U.S. foundation funding for organizations and programs that are working to improve the life outcomes of Black males. Education historically receives the largest share of this support, but giving in other areas, including human services and public affairs, has grown. In addition to analyzing U.S. funding trends, Quantifying Hope: Philanthropic Support for Black Men and Boys describes recent initiatives in the field of Black male achievement. This timely new research is released against a backdrop of national attention to the highly-publicized killings by law enforcement of Walter Scott, Michael Brown, Eric Garner, and Tamir Rice, among others; the birth of the #BlackLivesMatter movement; and the launch last year of My Brother's Keeper, a White House initiative to improve the outcomes of boys and young men of color. The study finds that in 2012, the latest year for which data are available, 98 foundations made grants worth $64.6 million explicitly designed to benefit Black men and boys. This figure was up from $40.4 million in the previous year and continues an upward trend. More than half of all foundation funding for Black males from 2003 to 2012 was distributed in the last three years. The research also identified some quantifiable shifts in giving patterns for Black men and boys. For example, even though the field of education, which has historically garnered the largest share of grants, continued to be a top funding priority, grantmaking for public affairs has significantly increased. Moreover, the top 10 grant recipient organizations consisted of a mix of national civic, policy, and advocacy organizations, in addition to the educational institutions that dominated the list in the past. Half of the top 10 list are Black-led organizations. In addition to 2012 giving data, the brief describes a selection of more recent philanthropic investments, including foundation and corporate support fueled by President Obama's My Brother's Keeper initiative, as well as efforts by municipal governments. The report includes essays by Tonya Allen, president and CEO of the Skillman Foundation, and Greg Fischer, Mayor of Louisville, Kentucky, who contribute their insights and reflections about their work to improve outcomes for Black men and boys. It also identifies future opportunities for philanthropy and recommends an increase in funding in the area of health and wellness, in southern states, and for general operating support. 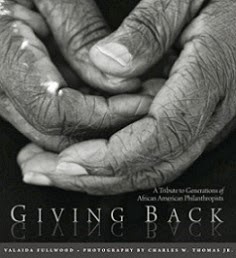 Quantifying Hope: Philanthropic Support for Black Men and Boys was commissioned from Foundation Center, the leading authority on knowledge about philanthropy, by the Campaign for Black Male Achievement, a national membership network of 3,000 individuals and organizations that was established by Open Society Foundations in 2008 and became a stand-alone organization in January 2015. The report follows up on baseline data presented in the 2012 report Where Do We Go From Here? 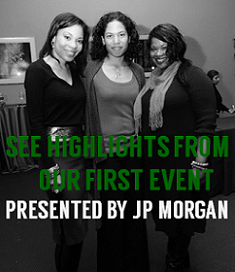 Philanthropic Support for Black Men and Boys. These reports, along with Building a Beloved Community: Strengthening the Field of Black Male Achievement, are among the growing suite of resources at BMAfunders.org, a website that facilitates engagement, collaboration, and strategic decision making among those working to promote positive outcomes for Black men and boys in America. At BMAfunders.org, visitors can also explore an interactive funding map; sign up for e-mail updates; and submit grants data, case studies, and philanthropic milestones. You can also join the discussion online on Twitter at @BMAfunders and @BMAchievement with the hashtag #QuantifyHope. 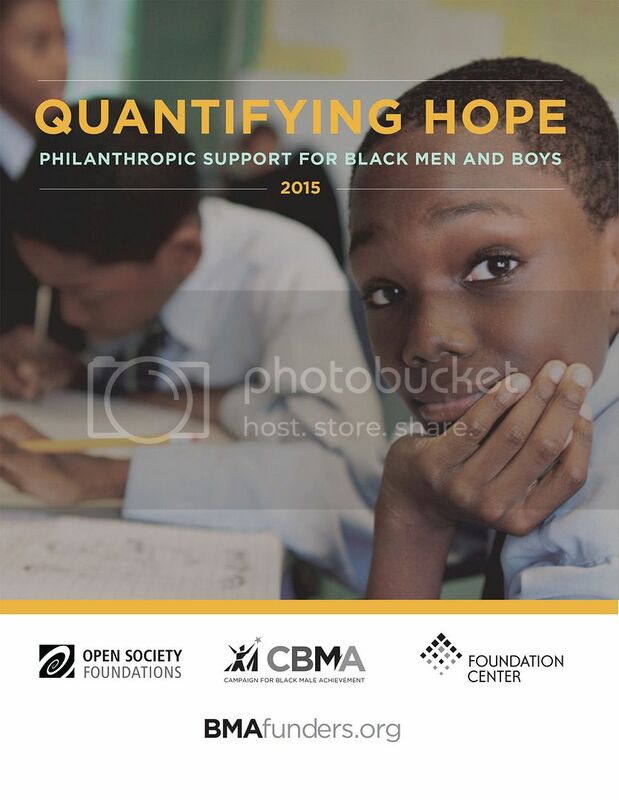 Quantifying Hope: Philanthropic Support for Black Men and Boys can be downloaded for free at BMAfunders.org and the Campaign for Black Male Achievement website. These resources are part of Foundation Center's Knowledge Services — data-driven tools and content-rich platforms developed by Foundation Center for funders and their networks, consultants, advisors, and grantees.